Wading for bonefish on the flats of Provideniciales or North Caicos can be a productive way to stalk bonefish when they are a little wary and particularly during the middle of the day when the sun is high and visibility is good. Shane contacted us looking for some advice about the best way to explore this option. 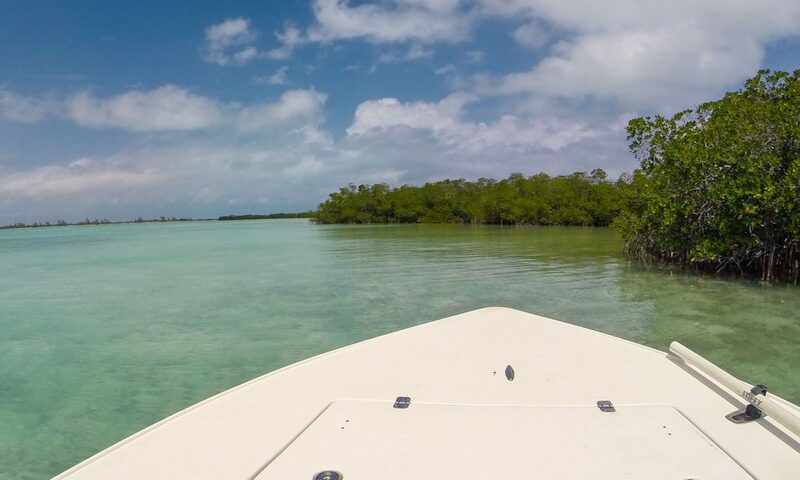 We agreed that a productive way forward would be to take a guide for a day that could point out the channels that the bonefish migrate in and out of as the tides on the flats of North Caicos and Bottle Creek ebb and flow. 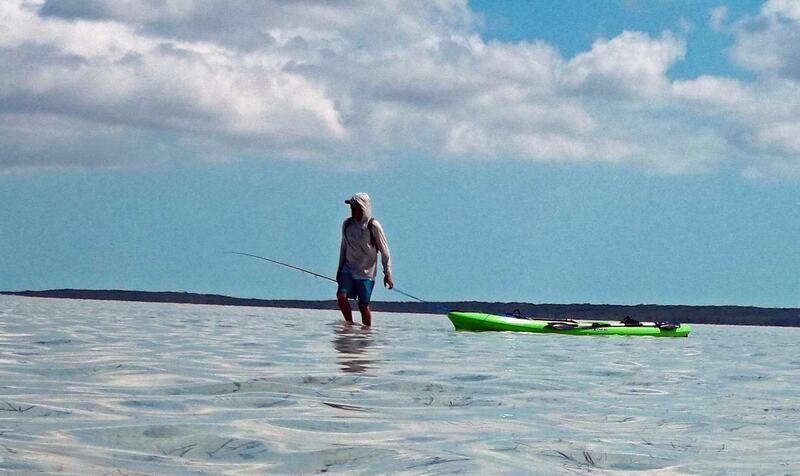 He did not spend much time fishing that first day, but acquired a good sense for where productive areas might be as he planned his next three days self-guiding using kayaks and StandUpPaddleboards from us. My North Caicos fishing adventure started with a guided trip on a flats skiff built by one of the owners of Greatbonefishing, Howard Gibbs. Rather than spending the day dedicated to fishing, Howard directed us to the flats that would be easily accessible by me over the next few days when I was going to be fishing solo on one of the “Versaboard” StandUpPaddleboards (SUP’s). We didn’t see many fish the first day – but I locked in the location of several flats that were serviced by channels that ebbed and flowed strongly with the tide. The next three days I concentrated on the North end of Bottle Creek and self-guided or DIY bonefished in several productive areas. The bonefish were clearly tide dependent, as they would “switch on” at a moment’s notice and the flats would go from looking deserted to being able to spot fish consistently. I had opportunities at many schools of fish and lots of shots at singles and doubles that were good sized fish – possibly into double figures. The SUP worked well for me as they are well equipped with flyrod holder, a small anchor and decent stowage. I was able to calmly walk the flats, gently pulling the board behind me, as well as at times standing and paddling in search of fish. Overall a great experience and highly recommended.